Hello my lovelies! 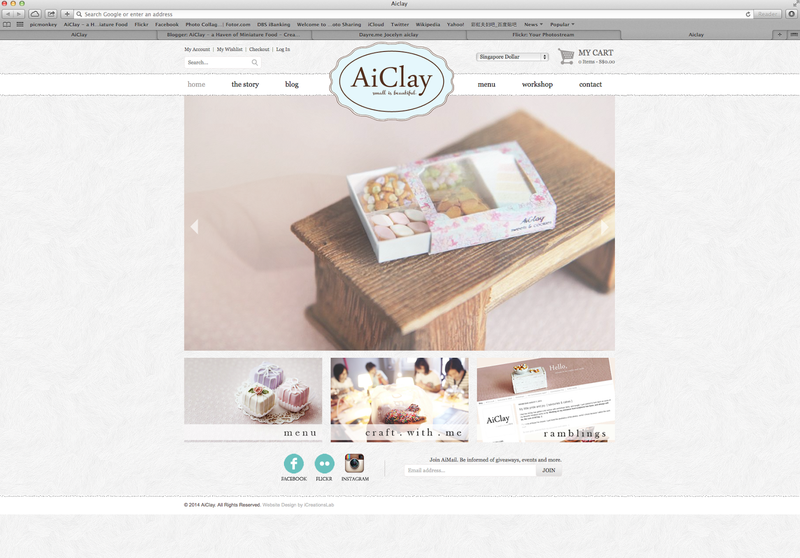 If you're reading this, then you've probably already seen the new look of AiClay's website! Instead of a blogger layout, it's finally a real website where you can navigate around to buy directly from me, read the story of AiClay, register for workshop slots etc. Personally, I LOVE IT! Apologies for not announcing the launch of the website over here earlier, hence giving some of you a scare when you went to www.aiclay.com as usual to read my posts. It was launched on 13th March last week. I've been working on this for a few months together with my website designer, emailing back and forth about little details about how to improve the website and its aesthetics. Basically I just wanted a clean, simple layout with the main focus on my pictures, I think the final product is pretty much what I had in mind! This is also why there is a tab on the website which links to this blog. On to one of my new works! My inspiration comes from all the food I see, in real life bakery stores and online platforms. And sometimes, my customers are my best sources when they link me up with fabulous food places and makers. Today, let me introduce to you Maria Carrossel - Doces, a Portugal-based cake design brand. Their cakes are just the prettiest, sweetest designs around, and I wish I can fly down there for a bite! 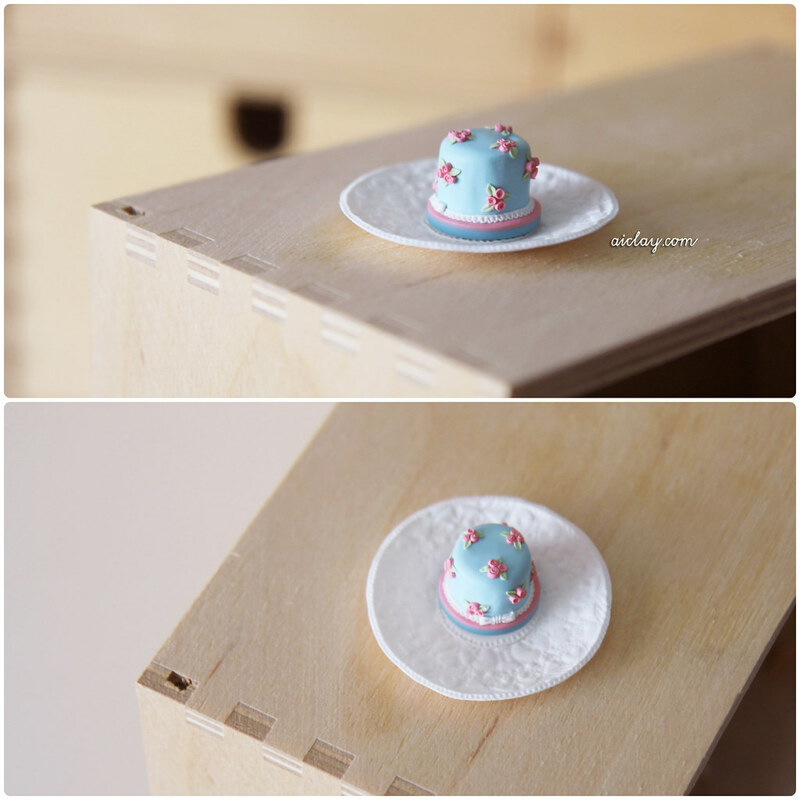 My customer showed me a photo of their cakes, hoping to get it miniaturised. And after asking for permission from the talented sisters at Maria Carrossel, they were psyched to see their cake in tiny form. So here it is. 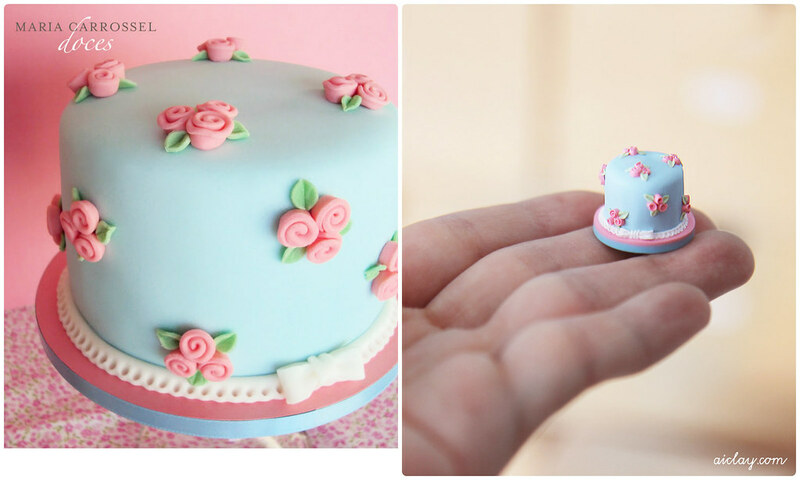 On the left is a photo of the real cake, and on the right is the miniature cake (duh). I really love all your work, you are a real artist! !